Found in every authentic British or Irish pub, beloved by drinkers and publicans (pub owners) alike. Each is printed with the British government stamp. The classic shape has a subtle bulge that improves the grip. 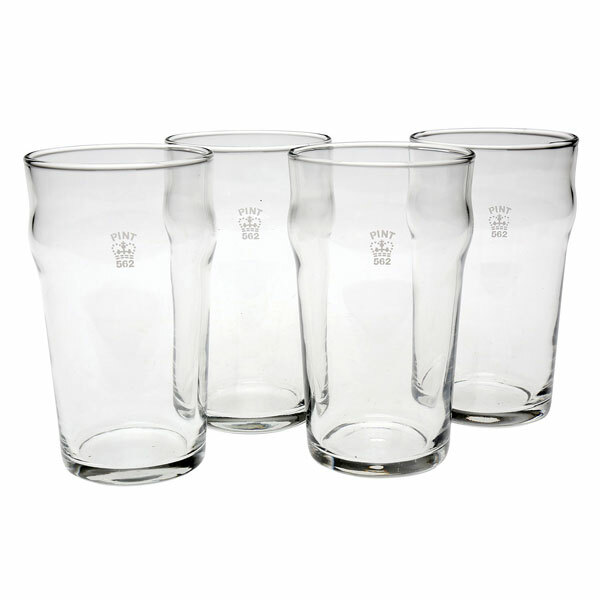 Durable, stackable, perfect for ales, porters, stouts, and American craft beers. Pint glasses HX6286 (hold 20 oz.) 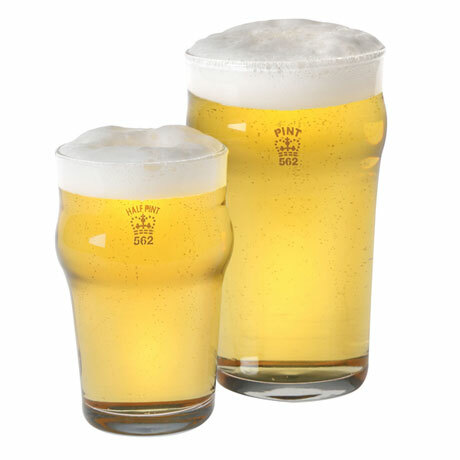 are 6" high, half-pints HX6296 (hold 10 oz.) 4½" high. Dishwasher and microwave safe. Sets of 4. Sold separately.